SofaConcerts are super easy! All you need is a band, your friends and a little space. You just have to send a mail to your favourite band, set a date, invite your friends, have some cold drinks and you are ready to go! Usually the Band play unplugged and doesn’t need a lot of space or special equipment. Therefor you don’t need to worry about the noise either. 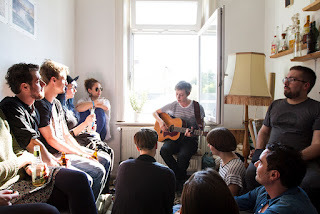 Just invite your neighbours as well and get to know each other a little better while listening to great music! The best thing about house concerts is the cozy and friendly atmosphere. It’s just you, your best friend and your favourite artist. Together you enjoy the music and have a lovely time. You don’t need to squeeze through a big crowd to get to the first row, you can just take a seat on your VIP spot right on your sofa. You can talk to the band and organize your event just like you want it. Take one or two drinks with the band after the gig and listen to their stories. Who needs a backstage pass, when your own living room is the backstage area? 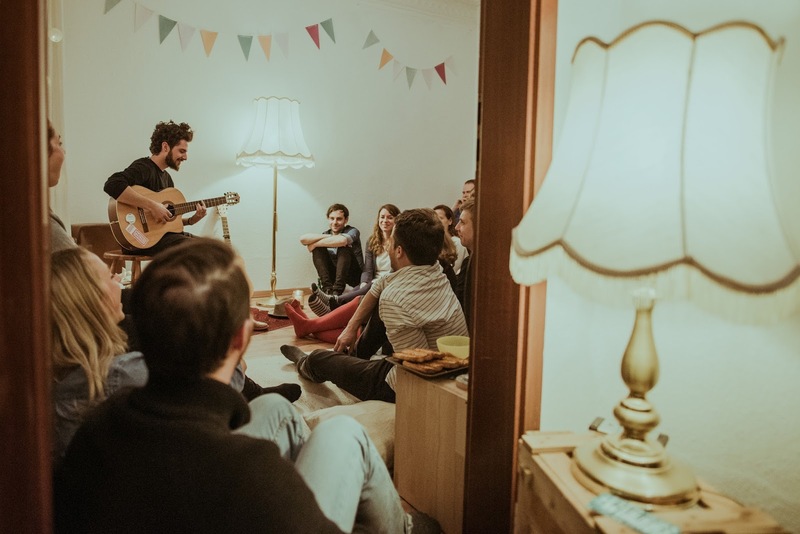 No need to say, we are all big concert lovers and can’t stop dancing to our favourite band at a big concert, but a private gig has something absolutely special to it. No big crowd that pushes you and spilt beer all over you and especially no super tall guy right in front of you! 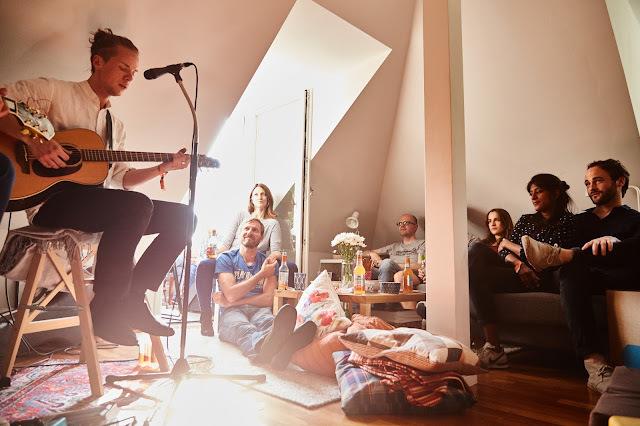 Just make your home a stage, no matter if it is your living room, attic or garden and put on socks instead of high heels! 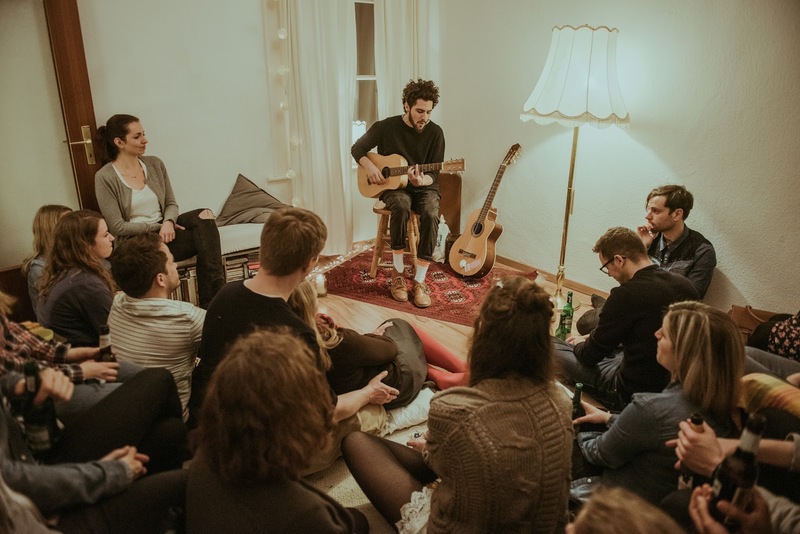 Music builds connections and creates moments like nothing else and that’s the main point about SofaConcerts. Artists share they stories, thoughts and time with you and your friends, which creates a unbelievable connection. No matter how amazing the atmosphere of a big concert hall is, there is nothing like an artist playing his song just for you! This special and magical feeling of a SofaConcert should everyone experience once! If you think about hosting your own house concert and invite great artists to your home, you should check out our artist. There will be the right one for each event, taste and budget!